The following piece is dated but relevant to better understand how Glenn Beck deceives his viewers about people in the Obama Administration. It was written by "The Red Phone is Ringing," and it was published on The Daily Kos 11 months ago under the title, "Hey CNN! Beck gave the Sherrod treatment to Lloyn, Holdren, Dunn..." To "Breitbart" someone is to distort their words or ideas by quoting them out of context as he did to Sherrod last summer. Uh, bravo to CNN for some actual journalism yesterday - accomplished by allowing Shirley Sherrod a chance to tell her side of the story. That earns you a bit of credit. But where were you when Glenn Beck did the exact same thing to a series of other people in the Obama Administration? Taking statements out of context, twisting, mischaracterizing and demagoguing them, and using them to support a bogus narrative of Communisms/Socialism/Marxism/Hitlerism? "There is nothing more difficult than this, because we have really, truly good white people in important positions. And the fact of the matter is that there are a limited number of those positions. And unless we are conscious of the need to have more people of color, gays, other people in those positions we will not change the problem. We're in a position where you have to say who is going to step down so someone else can have power." Lloyd's meaning clearly is that unless you take a pro-active approach to diversity, you are in a position where diversity cannot be achieved because it would be absurd and unacceptable to remove non-minorities from their jobs for the purpose of replacing them with minorities. Just the opposite of what Beck contends. But with regard to Beck's claim that Holdren "has proposed forcing abortions and putting sterilants in the drinking water to control population," the text of the book clearly does not support that. ... Certainly, nowhere in the book do the authors advocate for forced abortions. We think it's irresponsible to pluck a few lines from a 1,000-page, 30-year-old textbook, and then present them out of context to dismiss Holdren's long and distinguished career. And we rate Beck's claim Pants on Fire! "I can see it with my own eyes," Beck's followers exclaim, "so how could it not be true?" Beck often says the same. After laying a foundation constructed of insinuations, fear-mongering and half-baked conspiracy theories, he shows a carefully selected video of his target-of-the-day appearing to make a damning statement which very conveniently fits neatly into Beck's deranged narrative. Beck then proclaims something along the lines of, "There it is, you see it with our own eyes - these are his own words! How could it not be true?" But the problem is, it isn't true. Beck has a track record of taking a person's words and making outrageous claims about their meaning, claims which are completely contrary to the actual intent of the speaker. He twists and distorts the remarks to suit his own bizarro narrative. For example, Beck used a single quote from former Interim White House Communications Director Anita Dunn to "prove" she is a lifelong "Maoist". "Mao Zedong," intoned a solemn-faced Beck, "shot his political enemies in the head" (which Beck helpfully demonstrated using his own finger gun). Beck's grotesque message was that Anita Dunn, by virtue of uttering a single particular sentence at a high school graduation, must be a reprehensible person who "loves" and "worships" a mass murderer. Oh, and by the way, she is also a hard-core Communist. As crazy as it sounds, this really did happen on the Glenn Beck Program. How on God's green earth could anyone in good faith interpret that to mean Dunn "loves Mao" and that Mao is someone she - for all purposes in her life - "turns to most", as Beck asserts? It is utterly ridiculous to claim that this one reference to Mao, with no bona fide corroborating evidence, makes Anita Dunn a lifelong rabid, mass-murderer-worshipping Communist. It is surreal that a tactic so obviously disingenuous would work. Who would be stupid enough to believe such hogwash? Apparently, the mindless drones who comprise the comfortably dumb of Beck's followers are. Beck has them indoctrinated to such an extent that they swallow their leader's noxious spin without question. What can you say to someone who would allow themselves to be so easily misled, except, possibly, get your head out of your behind? Apparently, the cropped version suited Beck's purpose better than the full sentence. Playing Dunn's complete sentence would have taken an additional four of five seconds and Beck does not have time to waste. Never mind the ethical problem of removing the context. We can't have people actually figuring out that Beck's interpretation is baloney. When Dunn issued a statement describing the "favorite political philosophers" clause as irony (obviously), instead of taking Dunn at her word, Beck, like the relentless bully he is, continued to gleefully incite his audience and contemptuously accuse her of being a Mao-lover. Do you see what Beck did there? Yes, you saw it with your own eyes, but the way Beck presented and described it was not the truth. This is not pro-wrestling. This is a person's life, reputation and career. Beck smeared this woman, possibly because he knew that Dunn would eventually conclude her interim position (which fact was public knowledge as early as April, 2009 ), but he wanted to be able to claim that he caused her to resign. 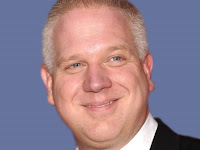 A lesson for us all: do not even think about uttering the word "Mao" or Glenn Beck will issue a fatwa on you. Don't expect him to be mindful of the message of his book The Christmas Sweater while he drags your reputation through the mud either. Once hypocritically claimed "context matters"
Beck's long history of ripping quotes out of context is detailed in a special post at MediaMatters. Beck distorted Obama's comments from 1995 to accuse him of "racism" and "profiling." On the June 14 edition of his radio program, Beck aired an edited audio clip of Obama saying, "I really want to emphasize the word 'responsibility.' I think that whether you are a white executive living out in the suburbs who doesn't want to pay taxes to inner-city children --" Beck then likened the comments to "code language" and said they sounded "like racism." Beck omitted Obama's full comments, in which he said: "I think that whether you are a white executive living out in the suburbs who doesn't want to pay taxes to inner-city children to -- for them to go to school or you are a inner-city child who doesn't want to take responsibility for keeping your street safe and clean, both of those groups have to take some responsibility if we're going to get beyond the kinds of divisions that we face right now." On his Fox News show, Beck again cropped Obama's comments to claim they sounded "an awful lot like profiling." Hannity did some misleading editing of the President's remarks too. Uh, Fox producers, why is this happening? Updates: Think Progress wrote a piece, "FACT-CHECK: The right-wing smear campaign against Mark Lloyd" that may be helpful for readers not familiar with him. Also, Media Matters for America has covered Beck's smear of Dunn in a piece entitled "Beck falsely claimed Anita Dunn "worships" "her hero" Mao Zedong." Update, 7/03/2011: Anita Dunn herself responded to Beck's attack. See "Obama aide fires back at Beck over Mao remarks." "The Mao quote is one I picked up from the late Republican strategist Lee Atwater from something I read in the late 1980s, so I hope I don't get my progressive friends mad at me," Dunn told CNN.